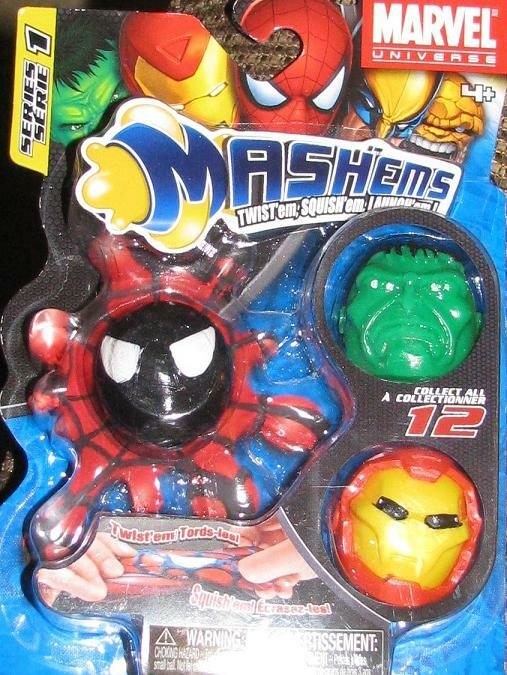 These squishy little balls of grossness came out at the end of last year – since I have not taken them out of the package I cannot tell you if they are sticky or just look that way… I will say that these were generously donated to the Hulk room by my favorite nephew. Some say only nephew – and while they are not wrong – he’s still my favorite too. 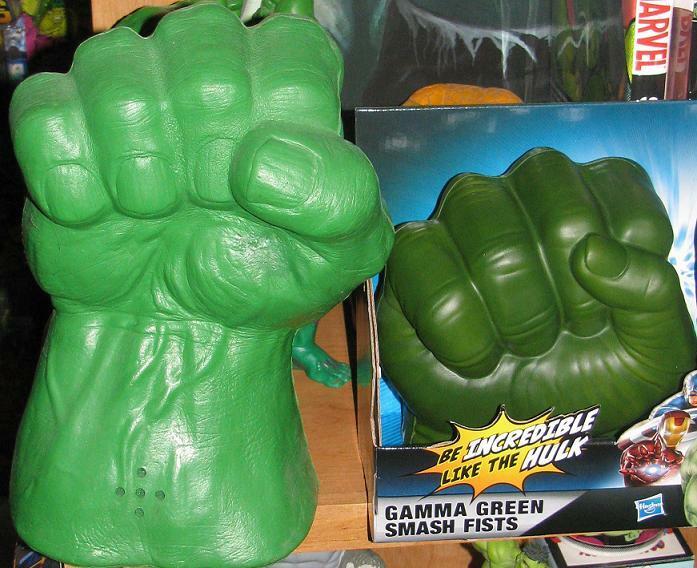 Yes, so far most of the Avengers Hulk items have been pretty disappointing – BUT – I figured that there was no way to screw up Hulk fists! I mean, even the fists that came out in 2008 – although inferior to the 2003 fists – were still pretty good. With 2012 you’d think that we’d get something amazing… instead we get no wrists, smaller hands and – adding insult to injury – they make no noise. 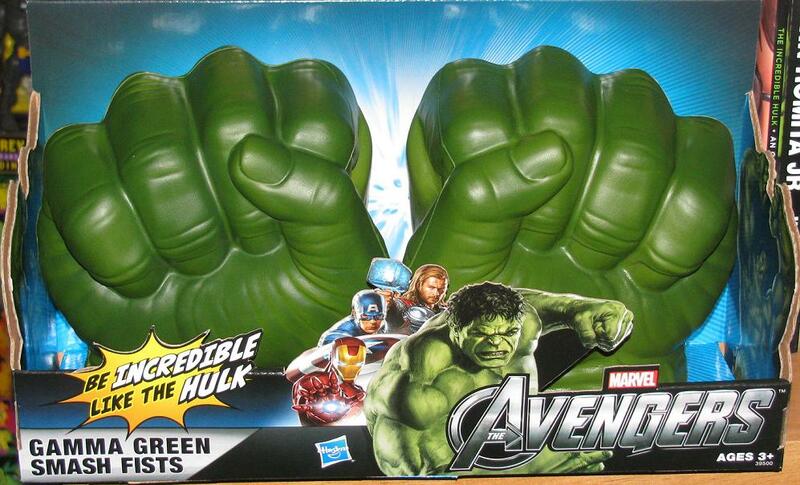 You read that right – they make NO HULK NOISES! Why?!?!? What the hell is up with that? 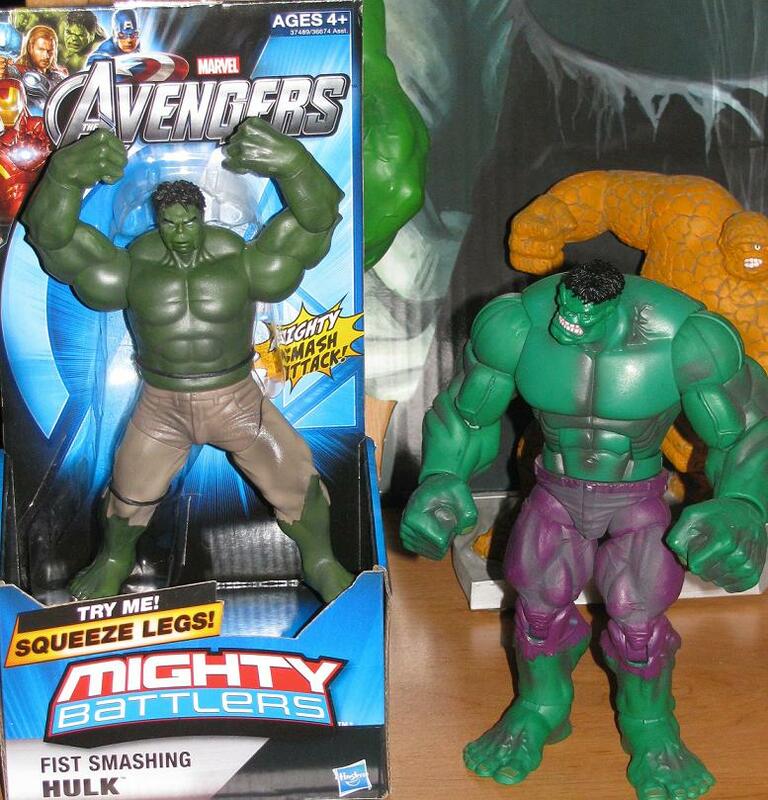 That’s the best part of the original two Hulk fists releases! You hit someone and they growled! They smashed! These do nothing of the sort. Is Hasbro even trying here? Comeon! Well, at least we have the Lego set to look forward to! 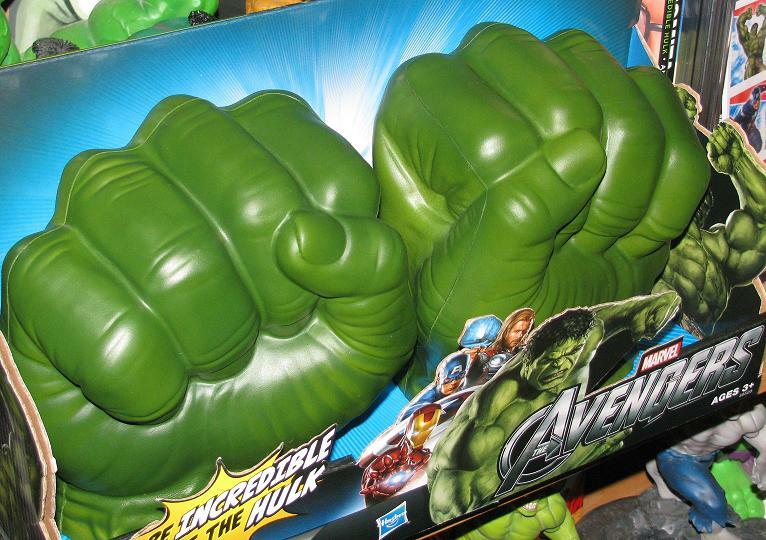 Hulk Fist! And it's little brother? Yes, I know I said I was going to post the new Hulk hands from the Avengers line – but I forgot to upload the pics and I am in the middle of watching the Oscars so I am not getting up to get the camera. I will do it tomorrow – this time I swear it will be done! Alright, let’s go The Descendants! 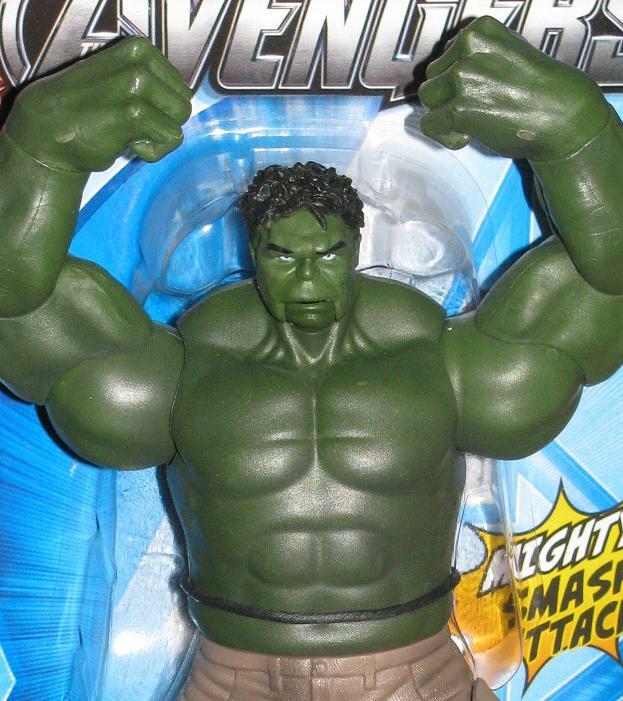 So far we have been given a whole lot of “ehh” as Hulk figures keep hitting the shelves. 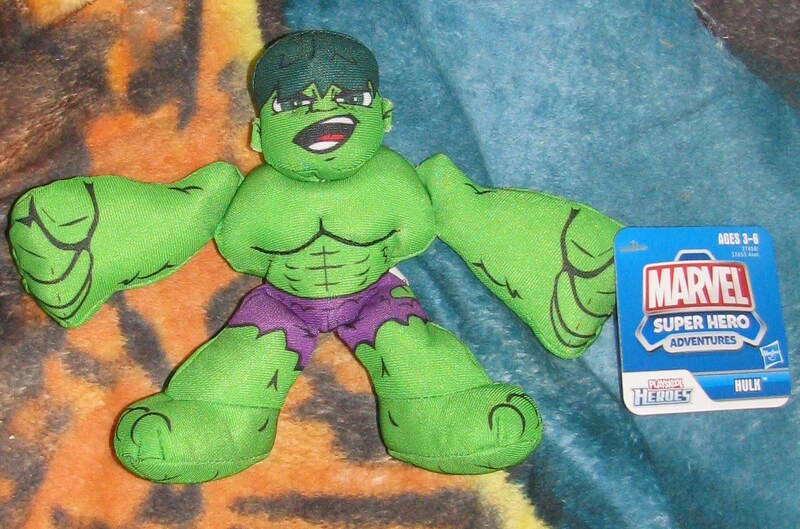 This will be the year that the Hulk may be known as “soft”. He has got to start hitting the gym again! He’s practically doughy! 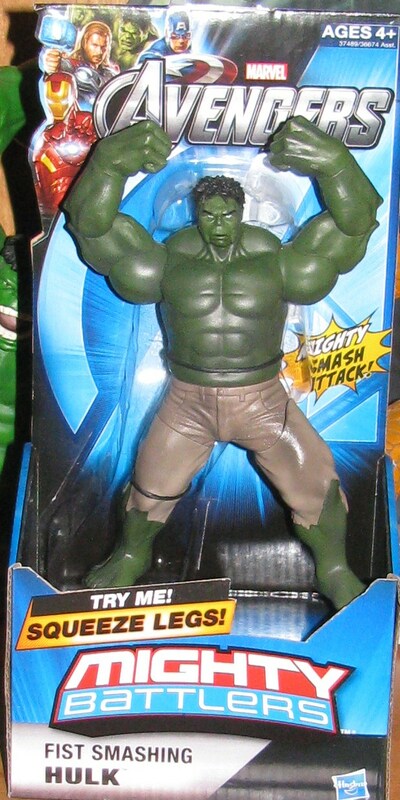 Listen, somehow it actually does make a bit of sense that the Hulk may get less defined as time goes by. I mean, that’s what happens! Consider people who work with weights – they constantly have to change their routine so that their body does not get used to the workout – because sooner or later the workout becomes less and less effective. Your body just becomes used to the constant strain and no longer responds to the weights. So, like I said, I can see where Whedon might think that this makes sense. 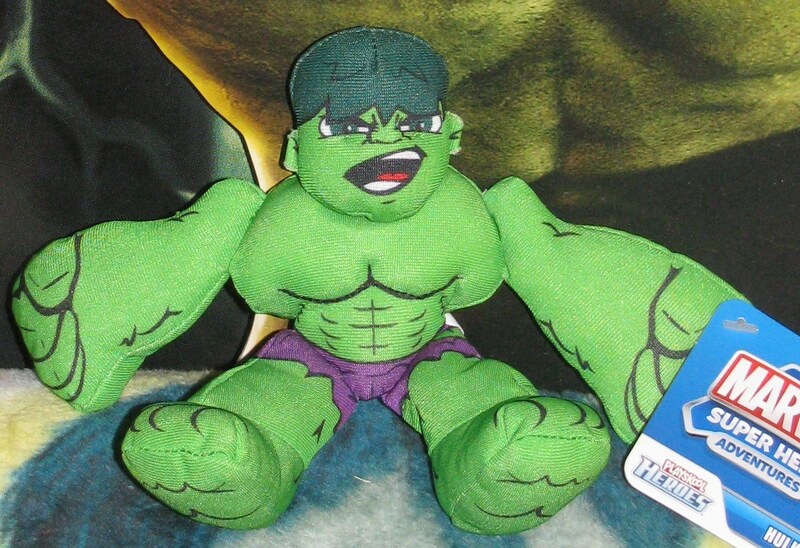 But this is the friggin’ Hulk, man! He never gets soft! Beef him up Whedon! Just because you’re a pasty puff-ball doesn’t mean everyone needs to be! 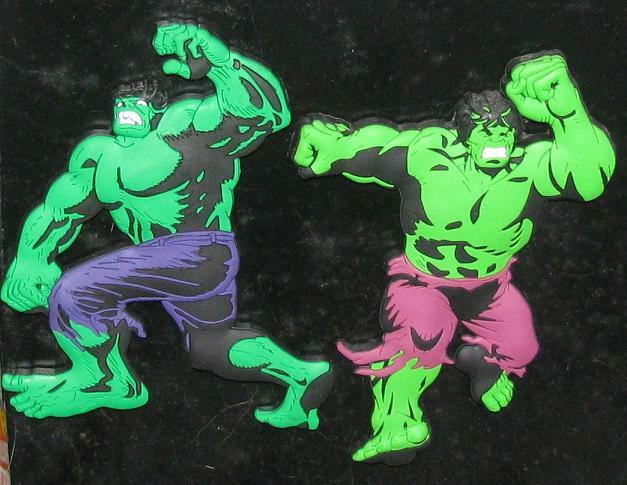 Is the Hulk a master at the Lambada? 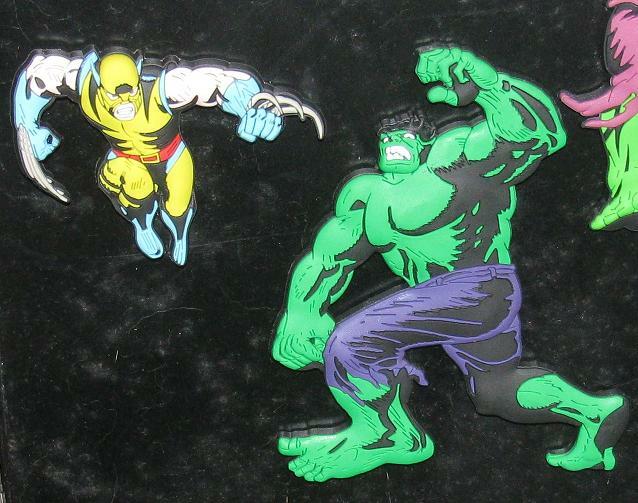 The new Marvel magnet releases are pretty ingenious. They took great covers that displayed two characters and made each so that you HAVE to buy both! Well, you don’t have to – but it would be silly not to! As for the selection – they have one of the best covers around – Silver Surfer #4 featuring both the Surfer and Thor. For the Hulk they paired him up with Wolverine and you can recreate the cover to #181. Not the best cover – especially with the stance the Hulk is in – but undoubtedly one of the more famous covers. #181: RE-CREATED IN MAGNET FORM! 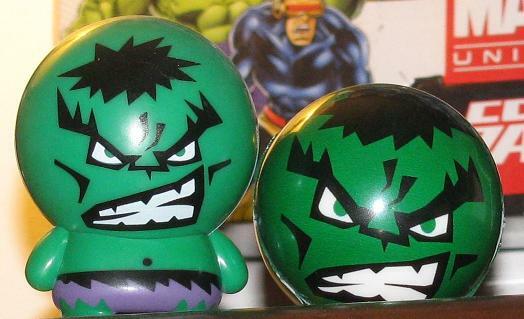 I am not sure what to say other than I bought some Hulk balls! These little balls are based on the bubble head toys we were given last year – except now? They are squishy and you can throw them at people! And why not? 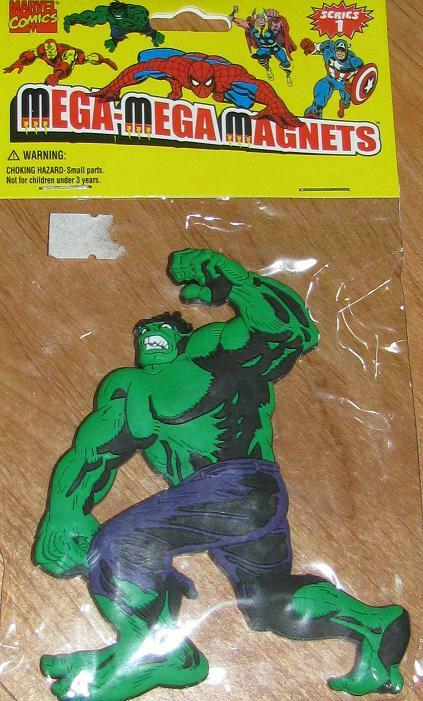 Who wouldn’t like a few Hulk balls flying at their face? 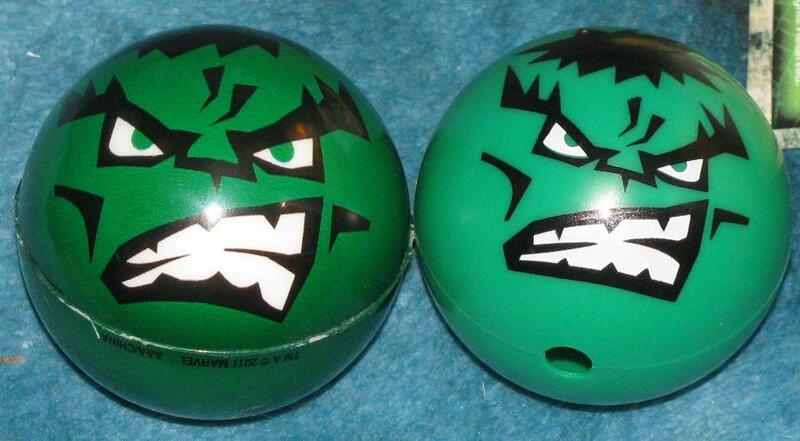 I could easily put both Hulk balls in my mouth – they are that small! 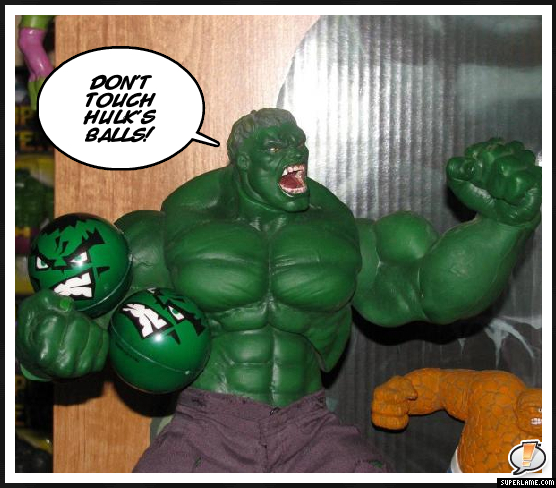 It’s easy to carry the Hulk balls where ever you want to go – and let me tell you – nothing says cool like having a set of Hulk balls! Is that enough double entendre? No? One more? 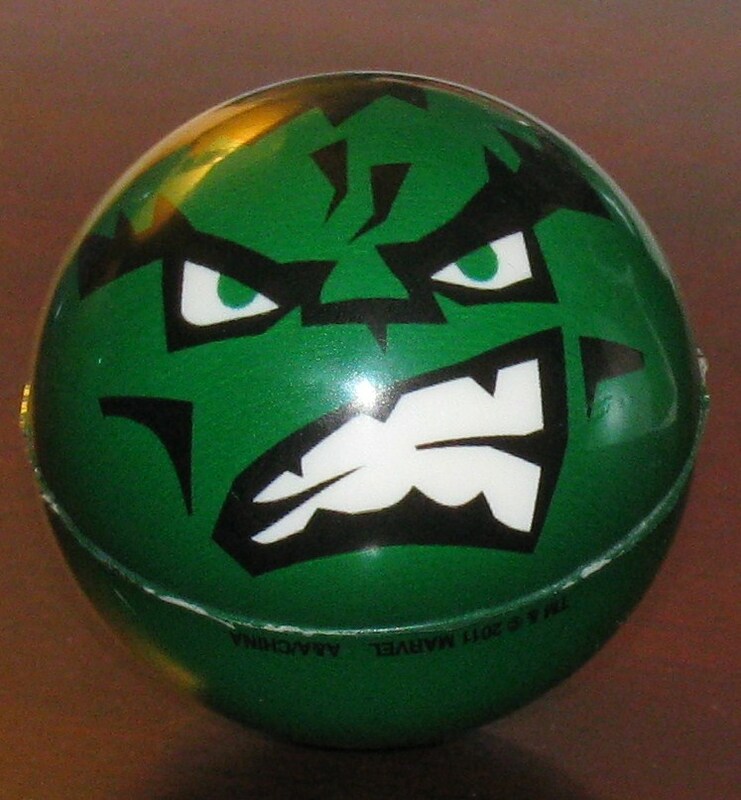 Okay… Now that I have a set of Hulk balls I want to go play with them! There that should do it!